PLEASE NOTE: Contains occasional adult language. In this follow-up to his highly regarded book Improvise. 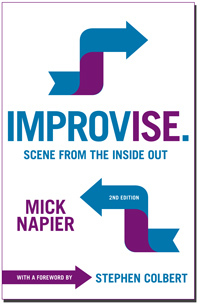 Scene from the Inside Out, globally acclaimed improviser, director, and instructor Mick Napier focuses on the complexities and theories of long form improvisation.